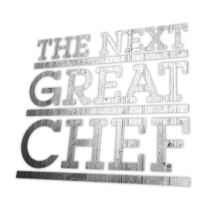 THE NEXT GREAT CHEF is a Canadian television documentary series that premiered on Global TV Network on Friday, December 2nd, 2005 at 8pm. The series run comprised a total of 2 seasons and 22 episodes. THE NEXT GREAT CHEF combined the national Junior Chef Challenge (administered by the Canadian Culinary Federation) with a reality TV format, showcasing young chefs across Canada and their quest to become the nation’s next culinary star. 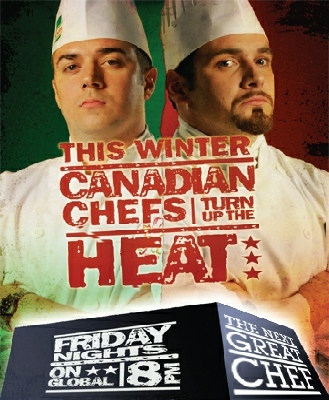 The series prominently featured contestant backstories filmed across the country and one-on-one studio battles, filmed in Vancouver, Edmonton (1st season), and Victoria (2nd season). Critically acclaimed and a popular success, THE NEXT GREAT CHEF has also been a forerunner in setting the trend for other competitive culinary shows that followed it. 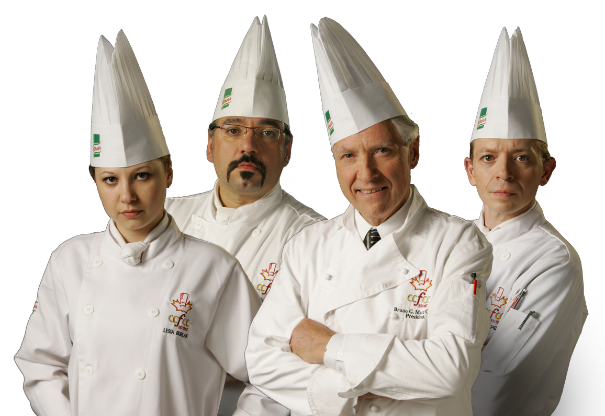 THE NEXT GREAT CHEF judging panel included four distinguished Canadian chefs: Bruno Marti, Lesia Burlak, Jean-Luc Piquemal and the kitchen judge John Carlo Felicella.